Learn how to create your free Final Warning Letter using our sample. A Final Warning Letter explains that an employee’s performance is unsatisfactory in regards to their performance, behaviour or conduct. It is important that you follow the correct procedures when terminating an employee. 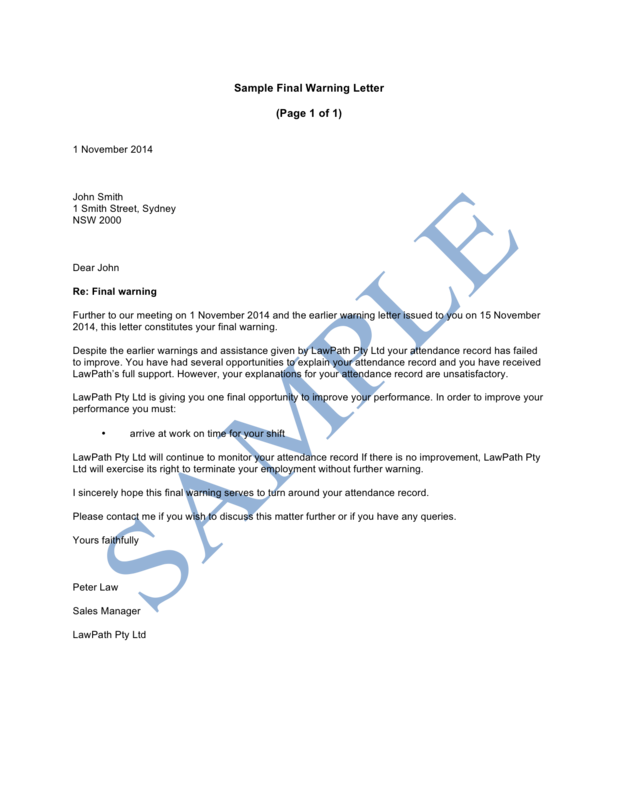 Take a look at our sample below, to get an idea of what yours will look like. 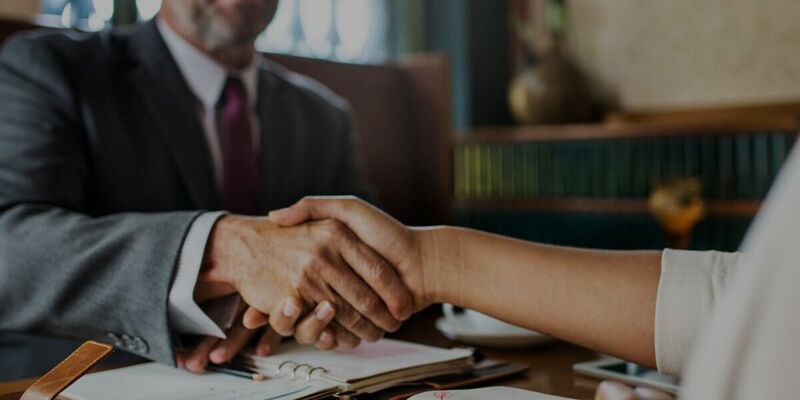 Your Final Warning Letter will provide your employee with an opportunity to improve before they are terminated, you may wish to seek legal advice before terminating an employee to discuss the legal aspects related to it. Create an account now to customise, print and download your Final Warning Letter in minutes. What does the Final Warning Letter cover? You can create your Final Warning Letter for FREE.